A word often used in Rugby is targeted. They “targeted our number 10”, for example. It’s nothing new and something that’s been in the game for many years and while It often has illegal connotations, a late hit a bit of sledging, it can be as simple putting a player in a position he doesn't want to be in. Against Ireland we saw them put key players in the Irish 15 under immense pressure. 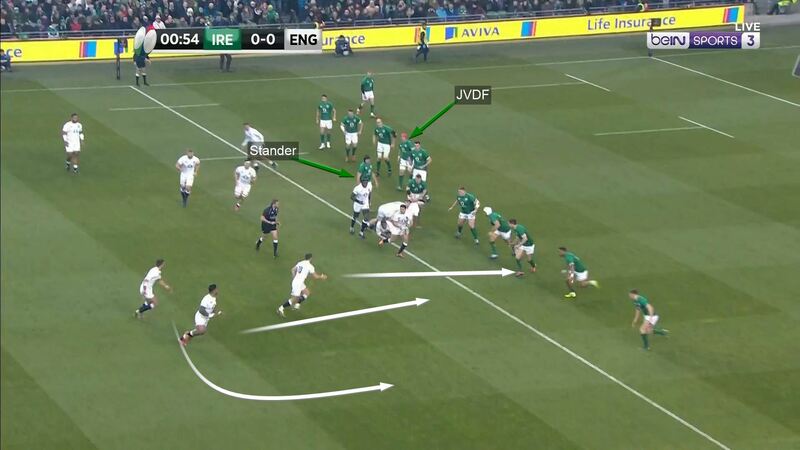 Keith Earls, Robbie Henshaw and Johnny Sexton were obviously on the end of some pre-organise mayhem but so to were the Irish back row and I believe England went out with a phase play game plan that actively targeted Ireland's back row of Josh Van De Flier, Peter O’Mahony and CJ Stander. But what does it actually look like? 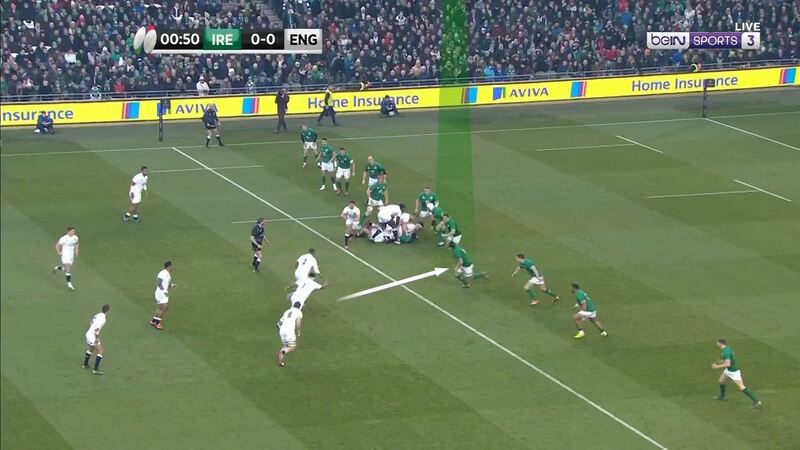 In real terms and how did it help England defeat Ireland? To explain that we first need to go over the basics of attack channels. A|B|C of 1st and Phase play. C wide, Ball moves into obvious outside space. 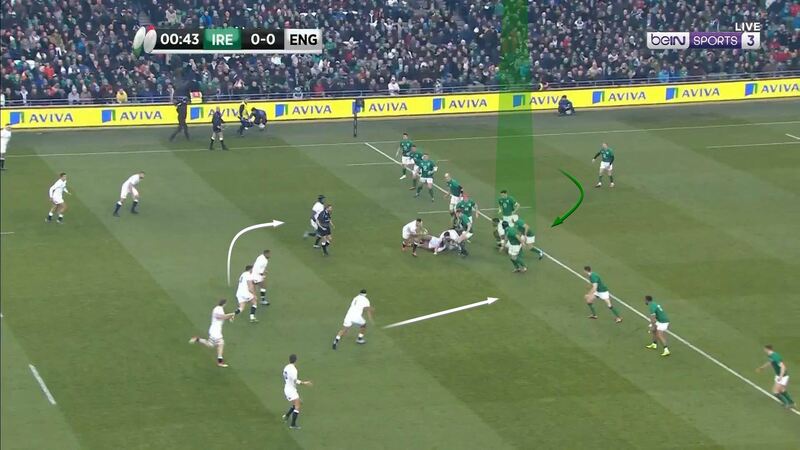 So with that in mind here’s how England’s carries into those attack channels broke down. Seeing so many carries in and around the ruck is not in itself unusual. Using forwards to send a defence back is a relatively standard method of operating. Hopefully you both move forward, and narrow that defence with each hit as more defenders come in. The problem is in this day and age modern defensive units are not so easily broken down, fewer defenders commit to the breakdown/tackle area meaning you have to be slightly more creative. At elite level that generally means putting the best defenders in the wrong places or in other words targeting them. Let's unpack the numbers a little and look beyond those carries to who was made to defend. We’ve already established England carried approx. 28 times into the A channel, off 1st and phase play. 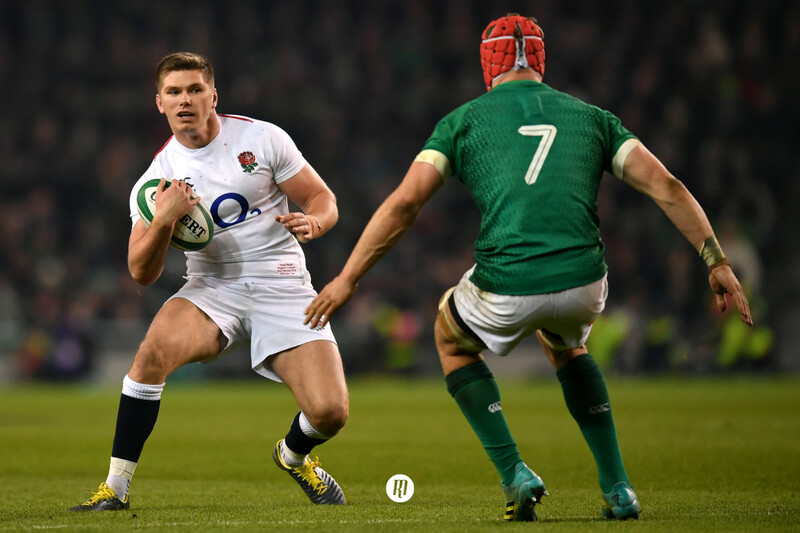 In 16 of those carries Josh Van De Flier and CJ Stander were primary tacklers on the receiving end of the English Forwards wrath. When England carried into the B channel it was a little more spread out but JVDF was still top tackler with 5. What if they the goal is to tie a defender in and keep him out of the game for the next phase, with the objective of exploiting that a few phases on?It’s easy to dismiss these numbers as just men who happened to be there, “did you see ‘so and so’s’ tackle rate? It was incredible” is a fan favourite but you can make as many tackles as you want if they are ineffective then what was the point. In this instance what if, that is actually what the opposition want? England's opening sequence has been analysed to death but let's take a slightly different approach and look at who gets moved where and how England target players to create mismatches. Here we can see JVDF targeted on the very first ball. We can also see Stander in close proximity but seeing England are in control he bounces out and gets ready for the next phase - this is key to England’s next few phases. On the next phase we can see that Best has also wrapped around to help Stander and England snap back to the blind side and target Van de Flier who has just got back into the defensive line having made the previous tackle. Leaving Stander and Best out of the game. 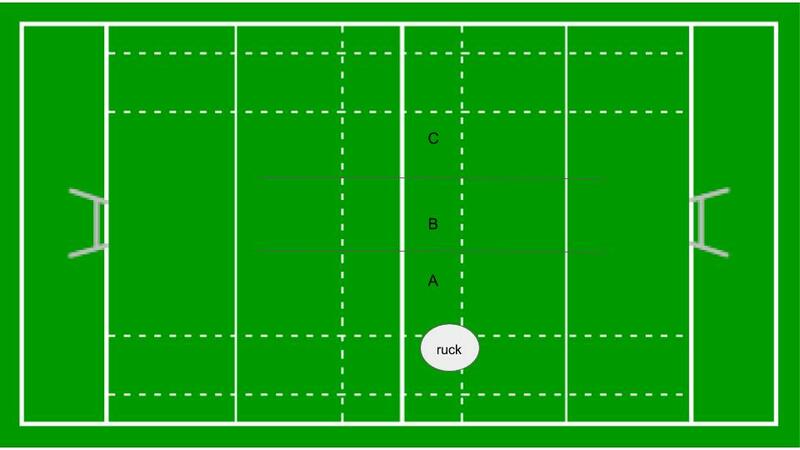 Additionally, this keeps the Irish defence very narrow and they are unable to spread and fill the field, having to condense into a relatively small area. On the next phase even though Stander is off the line England get a good carry in. 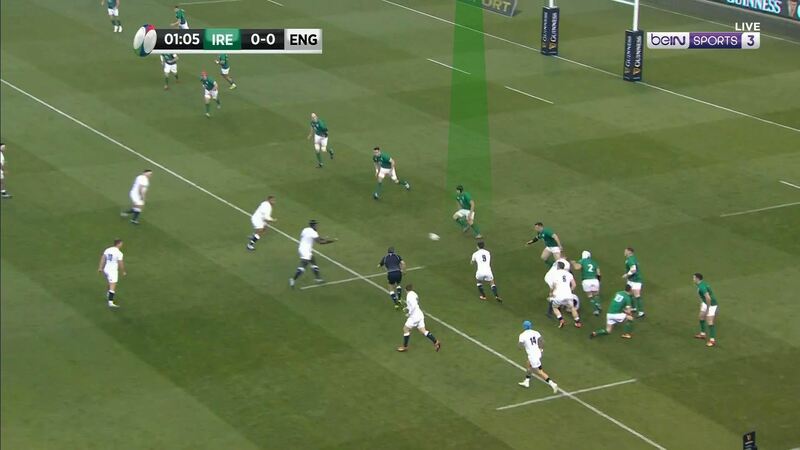 On the next phase we can that after three phases England have managed to get all of Ireland's back row on one side of the ruck away from where they will now attack wide. And this allows England to play wider on the next phase confident there are no backrowers to knock their backs back and attempt to jackal. They fake a screenplay and Tuilagi carries into Aki and Ringrose. 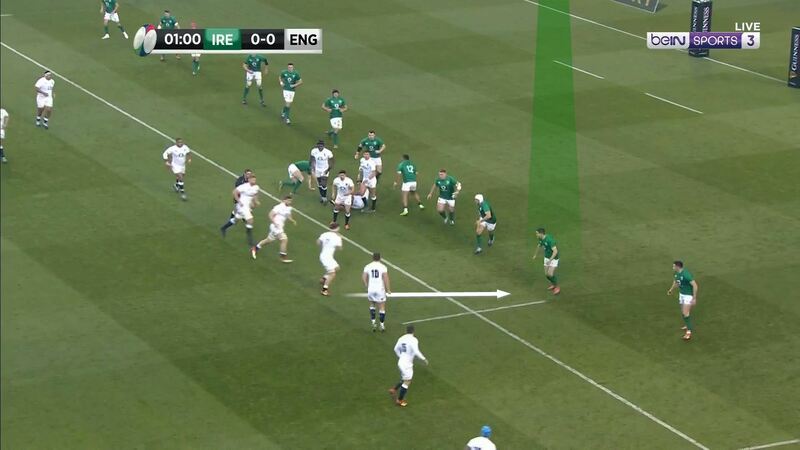 Even though England aren’t making huge gains against the Irish defence they are cycling through the defenders and as England play the flow on the next phase we can see they’ve now created the kind of mismatch they wanted and Curry is lined up to carry into Sexton. It’s a good hit from Sexton aided by Best but it still results in the Irish defensive line bending backwards enough to get England on the front foot again. It also means the middle part of the defence having to chase another 10m across to fill the space. Again, as England rewind we can see they target Stander. And on the next phase we can see Van De Flier and O’Mahony are next in the queue. 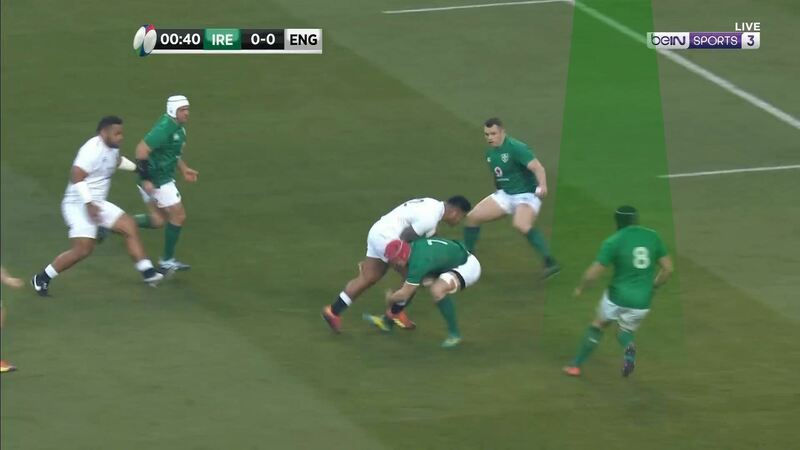 Nowell has a look and then carries into them and while it’s true Nowell doesn’t have his own way in this contact it does wrap up both Van De Flier and O’Mahony. 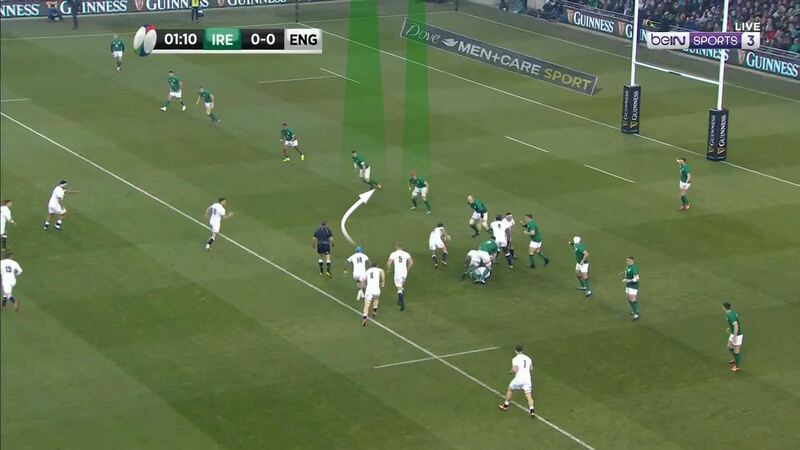 And as England Recycle we can see that England have again moved all of the Irish back row to the wrong side of the ruck with Van De Flier at the bottom of the ruck.